The Pagosa & Southern, version 2.0. 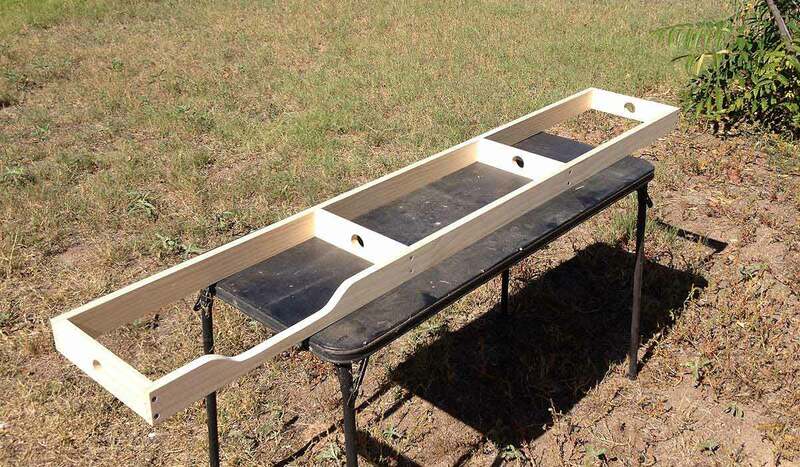 The new shelf layout is just 12" x 72" and uses Kato Unitrack. 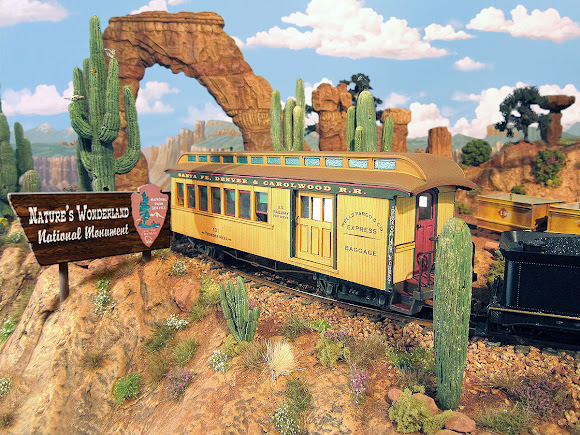 In the coming months I will be expanding the On30 Thunder Mesa Mining Co. into the space that has, up until recently, been occupied by the N scale Pagosa & Southern. I began work on the P&S early this year and it was originally designed as a simple loop with a couple of sidings, just a diversion from the big layout really. But in the last month or so I've been firming up plans for expanding the TMMC (new track plan coming soon!) and it has become apparent that the P&S in its original location was standing in the way of progress. 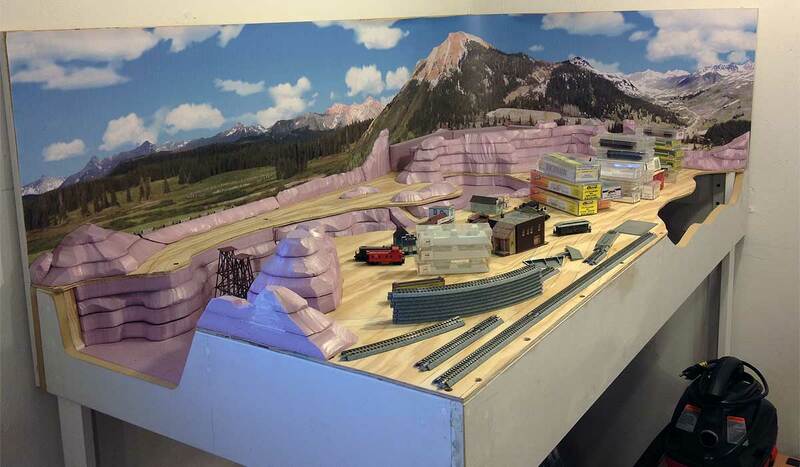 After searching in vain for a new location for the layout as originally built, I came to the conclusion that "N Scale Colorado" must adapt to what little space was available or face being packed away in boxes once again. 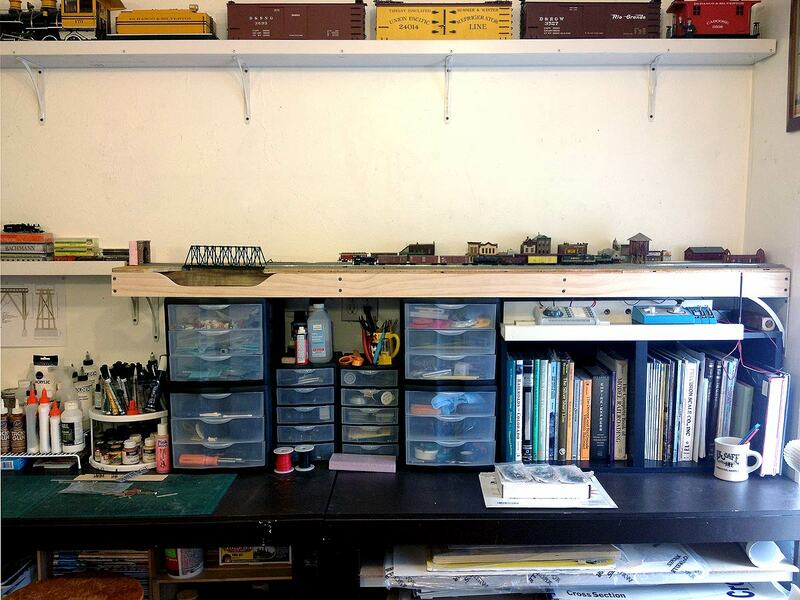 Fortunately I was able to carve out space for a 6' long shelf above my workbench. Just enough room for some moderately interesting N scale switching. I decided to keep the original theme of a 1950's Colorado town, but now the operational focus will be on switching the local industries and moving traffic through an important interchange with the rival Santa Fe. Looking at the plan above, all trains will enter and exit the layout from a staging shelf at left. Beyond the tunnel, a short section of track will mate with 30" long portable staging "cassettes." 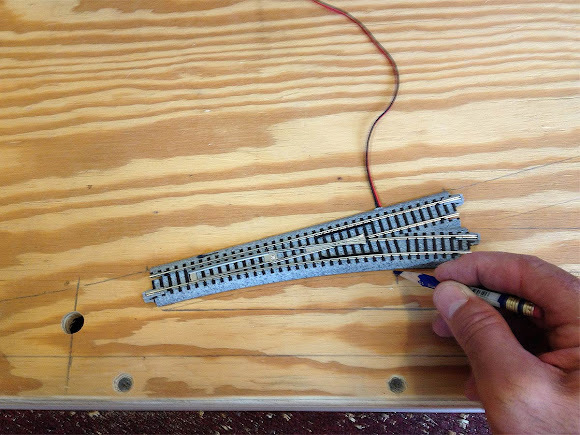 Each cassette can hold and turn a complete short train (locomotive, caboose, and about 6 cars). I'll have more on building these cassettes in a future update. After switching the town, the locomotive will swap ends with the caboose using the run-around track and head back out the way it came. The first P&S was built using bombproof Kato Unitrack and I'm recycling it all again here. I've been nothing but impressed by the trouble free operation provided by this track and feel that the aesthetic trade-offs are more than worth it for a project like this. The black and white plan shown above lists the part numbers for all of the Kato Unitrack used. 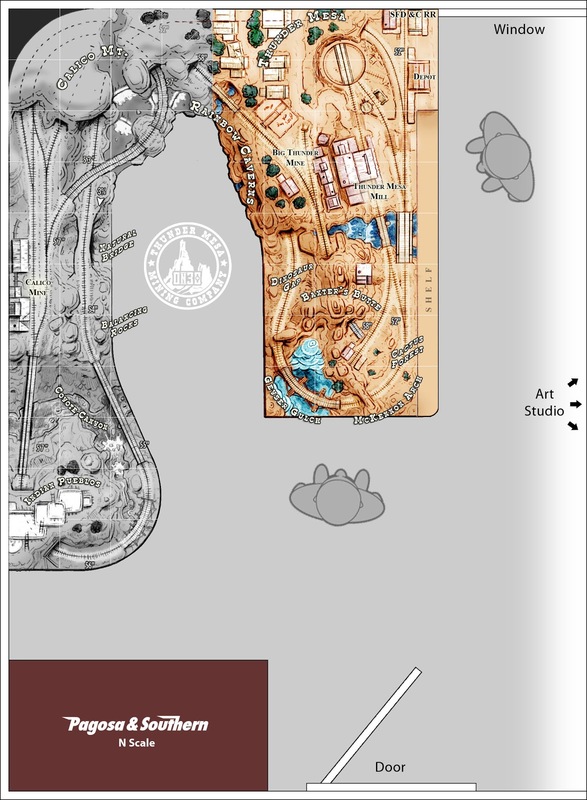 There won't be the towering mountain scenery planned for the first P&S, but the tunnel, creek and truss bridge area should make for an interesting scene. Structures will also be front and center here so I'll be taking my time on those with some more craftsman-style kits. A shelf layout like this also really lends itself to a shadowbox type presentation, with an integrated lighting system and a backdrop wrapping around three sides. The first P&S being disassembled. Luckily, I used Kato Unitrack and never glued it down. Most of the wood and foam will be re-used on the Thunder Mesa layout. Unfortunately the backdrop is glued down and can't be removed. I'll make a new one. For the new shelf layout, a simple box-frame was built from 1" x 3" select pine. It measures 12" wide by 72" long. The two inch holes drilled through the crosspieces are for running the wiring through. The sub-roadbed deck is 1/2" plywood. 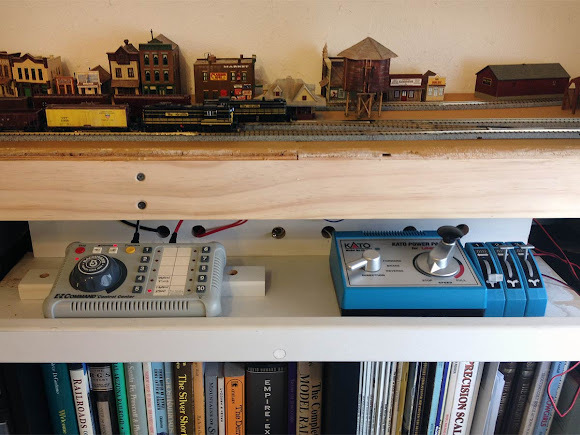 I know it's fashionable these days to use polystyrene foam insulation board for this but I find that it turns the entire benchwork into a resonator and makes the trains really loud. I only use foam for scenery. The track was positioned on the plywood sub-roadbed according to the plan. 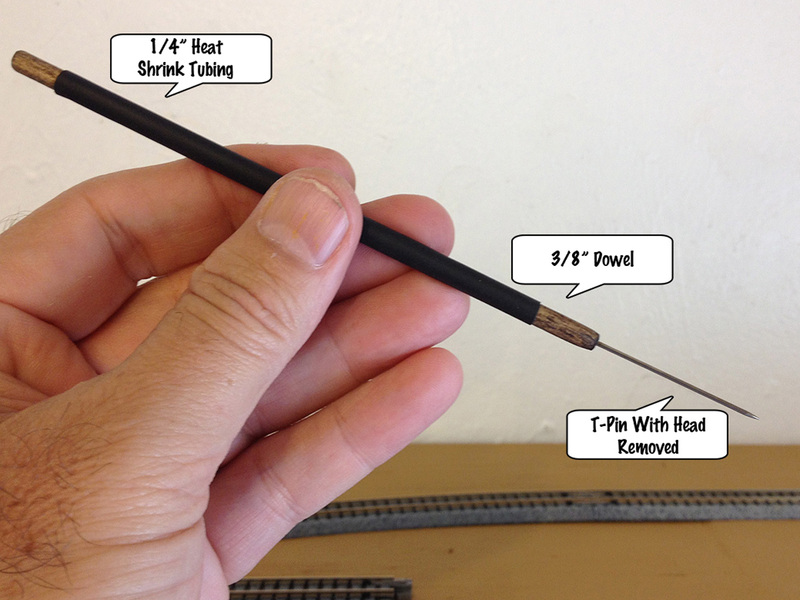 Locations for turnouts and wiring holes were marked in pencil. This layout has three more turnouts than the original P&S. All are #6. 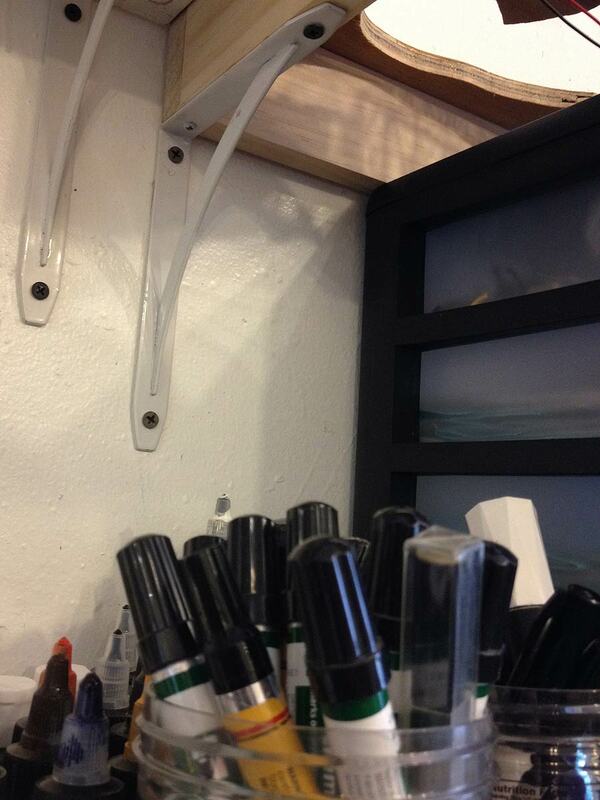 The layout is mounted to the wall with 5 of these metal shelf brackets from Home Depot. It was propped up and shimmed with whatever was handy as a 4' bar level was used to keep everything straight and true during installation. The final height of the benchwork is 59" above the floor; just below eye level for me. I was able to re-use this control shelf which was built for the first P&S. Control can be switched between digital DCC or analog DC. A used Bachmann controller from eBay works okay for now but I'll probably replace it in the future. 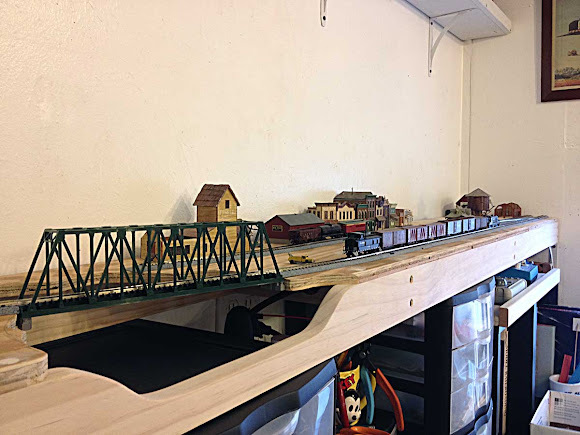 The new Pagosa & Southern above my workbench. It shares space with a lot of other stuff. With the shelf complete and the track installed, I've already been having some fun running trains and switching cars on the layout. So far I'm really enjoying the plan and the greatly enhanced operations over the previous layout. Once the staging cassettes are up and running I'll probably use some type of card order system for operating trains. It's the 1950's in N scale Colorado and most trains on the P&S are handled by EMD GP7's or Alco RS3's. 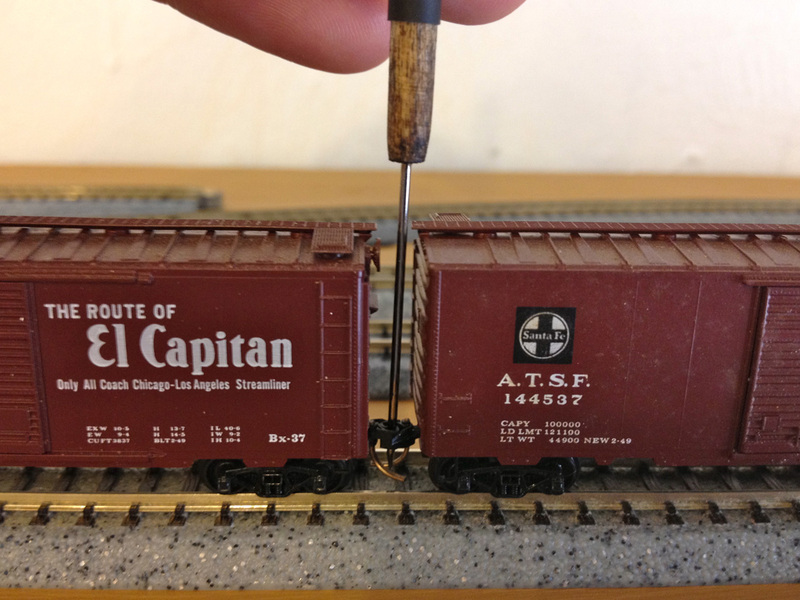 Both of these Rio Grande locos are from Bachmann. They are DCC equipped and their smooth, dependable running was a major contributing factor in my deciding to turn the P&S into a switching layout. By the way, all of these structures are from old layouts and will probably be replaced. I cut the head off of a dressmaker's T-pin before mounting it in a handle made from 3/8" doweling. A hole was drilled in the end of the dowel just big enough for a tight press-fit with the pin, then a drop of ACC gel was used to cement it in place. Heat shrink tubing on the handle makes it easy to grip. To uncouple, just insert the tip between two knuckle style couplers and twist gently. It only takes a very light touch and the cars themselves barely move. It works by slipping into one knuckle coupler and displacing the other. A slight push separates the cars. It's funny, but every time I think I'm done with N scale and just about ready to throw everything up on eBay, I start fiddling with those little trains again and get drawn back in. 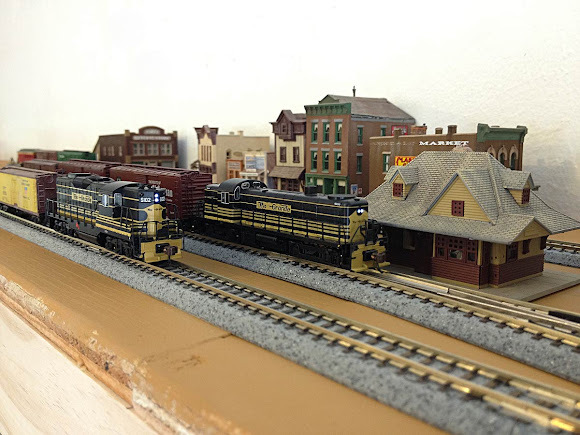 It is worth mentioning how far N scale has come and how much better the trains look and run now, versus when I started in the hobby 35+ years ago. The new stuff is a joy to operate and I can see myself continuing to fiddle in 1:160 for many years to come. That's about it for this week though. Next week I'll have a new post on Thunder Mesa, all about putting the finishing touches on Big Thunder Creek. I'll finish up this Friday's post with a fond look back at the first P&S. Adios, amigos!